requirements, from installation to repairs. Worst that Mother Nature Throws at You. We could see record cold temperatures. Sign up for auto-delivery and stay warm! Oil, natural gas & diesel fuel, delivered to your door. Need new tanks? Let us know! Please inquire about our FREE residential and commercial services. Let General Keep Your Home... Just Right! From heating systems to central air, General Utilities will keep you comfortable. With reliable fuel deliveries, outstanding maintenance teams and fast repairs, General will keep you comfortable and safe. From residential to commercial needs, General is your best choice! high locked-in prices and unreliable deliveries. 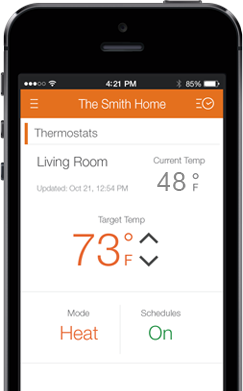 Remotely Control the Temperature in Your Home or Business! When you are with General, you can add on systems to track your temperature, turn on heat or air conditioning, control door locks and more! With extreme weather conditions on Long Island, you need to be prepared. 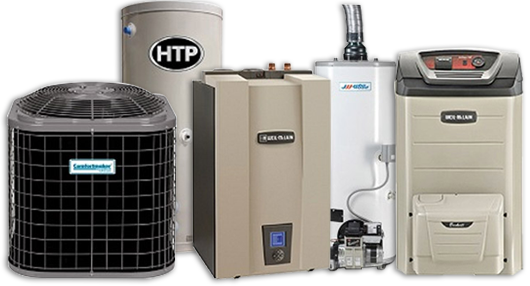 From sub-zero winters to 100+ degree summers, your house and equipment must be ready, with state-of-the-art heating & cooling systems. Time to upgrade your system, or simply maintain your current equipment? Need help with fuel oil, air conditioning, heating systems or other services? Complete the short form to the right or call us today!